Opel, Vauxhall and General Motors truly want the 2018 Opel Insignia Grand Sport to be a global vehicle. 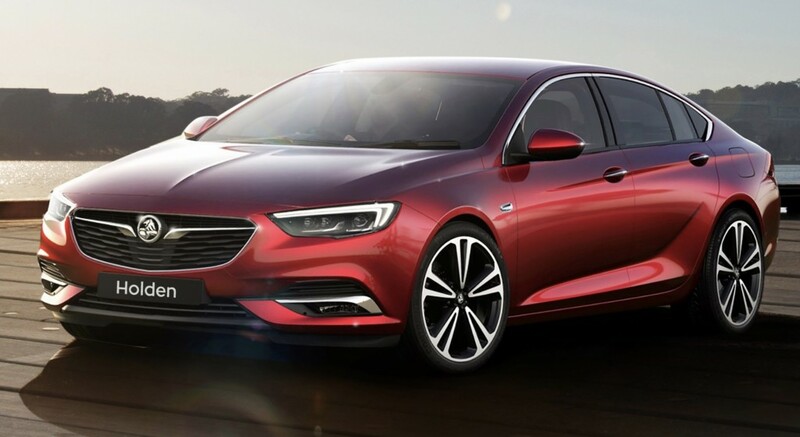 Despite GM selling off its European operations to PSA Group, the 2018 Insignia will still be fulfilled globally as the 2018 Buick Regal and 2018 Holden Commodore. However, the latest Opel sedan’s engineering and development was never purely a German fling. Car Advice reports Holden offered a helping hand in the project beginning in 2012, long before Australian manufacturing had been in play to shut down. Mark Adam, Opel chief designer, stated Holden contributed quite a bit to the final design of the Insignia and what would become the NG Commodore. 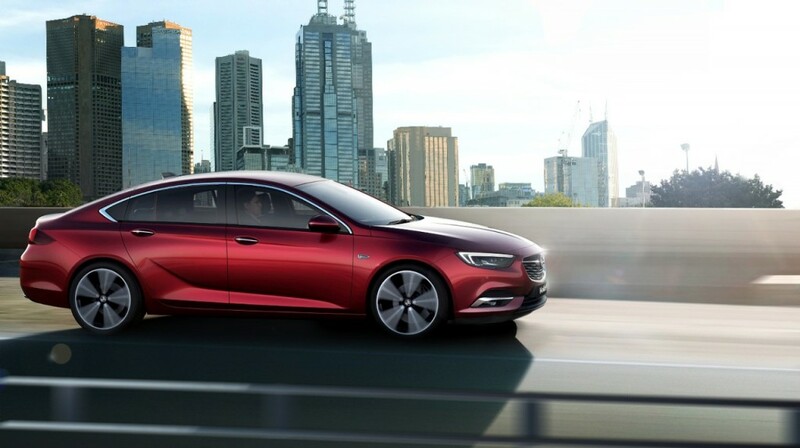 Specifically, after it was decided the Insignia would indeed become the next Commodore, Holden suggested pushing the wheels as far forward as possible to mimic the Commodore’s sporty exterior look. “[Holden was involved] all the way from the beginning,” Adams said. As the vehicle program progressed, Holden was keen to ensure a V6 was offered in the car. Europe will not see a V6 option, but instead, Holden engineers and development teams undertook that project to ensure the Commodore name lived up to its sporting intentions. Combined with torque vectoring all-wheel drive, the 2018 Commodore looks to fill big shoes. “We had a lot of discussion [with Holden engineers] about the driving performance of the car, meaning we talked about how a car should feel like, is it fast enough? Good enough in terms of ride and handling,” Andreas Zipser, chief Insignia engineer, added. Ultimately, Opel and Holden both knew they couldn’t deliver a rear-wheel drive vehicle, but Adams insisted the Commodore’s core values were carried forward. “Clearly coming from [where the Commodore is now], there’s no way we could deliver a rear-wheel drive car, so that was out. But, having said that, a vehicle that had great interior packaging and great value, because at the end of the day we keep talking premium about this car but that’s about visuals and aura not the price point,” he said. GM could have used Cadillac to build Commodore/Lacrosse while using Opel to create a fantastic AWD world car like Insignia. Mid-sized and large cars, more and more, have too much in common and platform would have been a great way to differentiate vehicles. The same is true with Impala/Malibu. Buick and Holden consumers need options that equal more than a few inches of cosmetic stretch. There is still a market for sedans. Ask Honda. Ask Toyota. Consumer standards however are very high in 2017 with cheap oil available. Is that why most large cars are sitting on dealer lots with generous incentives? The Impala I think a local dealer is advertising $6,000 off. The CUV market is killing the sedan as it is. Also it would have been nice to offer the Cadillac but in the future Cadillac will arrive there with a RHD in the next gen. Also would the average buyer pay a Cadillac price for a Holden? There may still be a market for sedans, but large sedans are a tough sell. Honda doesn’t offer one and Toyota’s Avalon only sells about 5000/month in the US and trending down since their 2013 fourth generation release. Using Cadillac to build Commodore/Lacrosse seems like it would drive up the cost. Considering the lower volumes, that doesn’t seem financially sound. Yes, GM would be wise to maintain their sedan lines… CUVs will fizzle out once gas starts going up, and we all know it’s coming. Them putting all their eggs into a CUV basket will be like them putting all all their eggs into the SUV basket pre-2008. And we all know how that turned out. Malibu, Cruze and Sonic have a demand, the only one that doesn’t is the Impala… rarely see them and there are tons of incentives on lots to get them moving. I made bank on my car back then, my value actually went up when that crisis started happening. I’m sure I’ll be down voted for that simple fact, but even though CUVs have more efficient power trains than their SUV grandpas, they still don’t match sedans when it comes to MPGs, and when push comes to shove… consumers have proven that they’ll off load those lower efficient CUVs for smaller cars that get better mileage. Happened before, and it’ll for sure happen again. Hopefully GM won’t be caught with their pants down when it happens, other manufacturers who didn’t put all their eggs in the SUV basket weathered that storm much better. It’s good to see holden not getting at rwd sedan until one shows up as a Cadillac. A expensive one to I will add! Holden can engineer the hell out of this car but it will never take the place of what came before it and that right there makes me happy! You’re right. It’s drawing a pretty long bow to say Holden was helping develop the 2018 Commodore as far back as 2012. There was some localization work that went on for the Insignia which sold here for a short time along with the Astra, but that’s about as far as it went. I guess some of that work could have carried over, but not that much I suspect. Not everyone is a CUV or SUV fan. They may hold a large segment of the North American market, but that does not apply round the globe. Yes they are a growth segment, but frequently from a low base in foreign markets. The autobahn remains mostly populated by hatches and wagons. Visibility, by sitting higher, is one of the most appealing features of SUVs and CUVs dating back to the minivans. But this visibility is being lost by high waistlines. Chrysler minivans always had a low waistlines, if for no other reason than to let the kids look out. I have not bought a GM sedan for ages because most have had poor visibility from high waistlines and the delta shape. They have tried to be wannabe SUVs in their appearance. If I want the SUV look I would buy an SUV. But if I want a sedan, give me something that enjoys the fact that it is a sedan. Whatever happened to a sleek well proportioned look?